Pune: The city celebrated International Yoga Day with a lot of enthusiasm and fervour on Wednesday. Thousands of people, of all age groups, participated in the celebrations held at various organisations to make the third International Yoga Day a massive success. As per the decision of the Indian government to raise awareness about yoga, Cambridge International School, Chinchwad organised an International Yoga Day celebration in the school premises. Students of Std I to VIII, with the teachers, performed various yoga asanas between 9.30 am and 10.15 am. Different yoga postures like Vrikshasana, Bhadrasana, Uttanaasana were performed. Also, international yoga news was shared with these students. The session finally ended with pranayama and meditation. The Orbis School celebrated International Yoga Day with a special yoga session conducted by members of Patanjali Yogpeeth, Keshavnagar. More than 2,000 students performed various asanas, ending with savasana and a mood uplifting prayer. 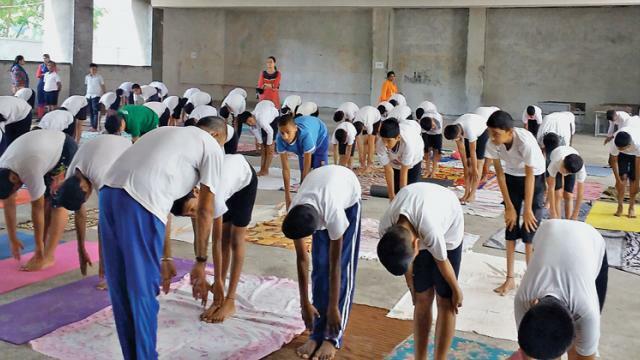 Pratibha International School organised a yoga workshop and invited a yoga instructor to teach students the importance of yoga in daily life and taught them different asanas. The primary section of Muktangan English School marked the occasion with a special visit by members of Sahaja Yoga Meditation Centre, Pune, who displayed the techniques of meditation with a scientific approach. The students also performed yoga exercises under the guidance of teachers and were told about the importance of yoga. City Pride School at Nigdi celebrated both International Yoga Day and World Music day. The yoga activity included meditation and yoga exercises, with 168 students of Std VII performing yoga. Director of Institute of Industrial and Computer Management and Research (IICMR), Abhay Kulkarni was Guest of Honour for the day. The Music Day celebrations included dance, instrumental performances and a group song by nearly 70 students. The entire school also recited the prayer ‘Pasayadan’ written by Sant Dnyaneshwar. Meanwhile, educators at the Sesame Street Pre-School taught children some common yoga postures such as the archer’s pose, mountain pose, jumping jacks and the bowing pose. They made the yoga teaching experience interesting by narrating stories about the jungle and cobras, butterflies and trees in the jungle. Every time any of these elements were mentioned, the young ones were to perform the yoga postures corresponding to these names like the cobra pose or the butterfly pose. 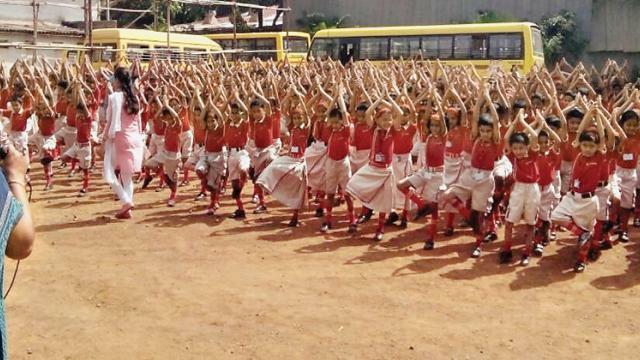 The students of Orbis School perform yogasanas on International Yoga Day. The students of Pratibha International School participate in International Yoga Day celebrations. The students of Cambridge International School celebrate Int’l Yoga Day. Students of Sunshine Pre-Primary School celebrate Int’l Yoga Day.